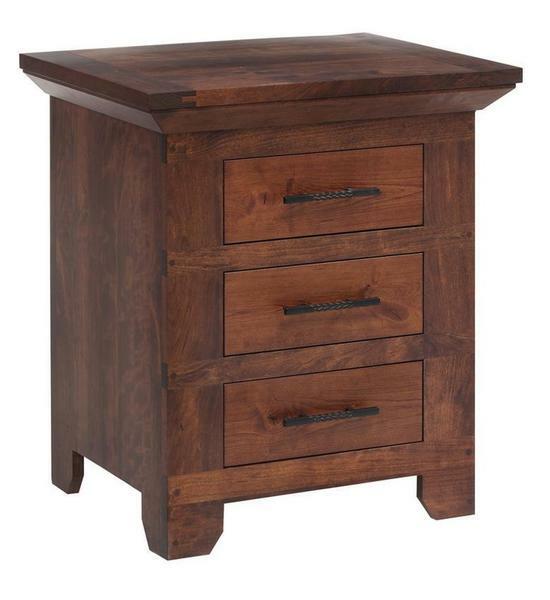 With an overall size of just 24" x 20" - our Redmond Wellington Nightstand will take up less room, while still making a huge impact on your decor. Featuring three full extension, dovetailed drawers and a plank panel top, you will have all the room your need for your bedside essentials. Choose from the best North American hardwood and finish options to customize the perfect nightstand for your room. Each piece is made to order and crafted with an heirloom quality to ensure your bedroom furniture will last generations!